Is The Fortnite Crack In The Sky Getting Bigger? The crack in the sky in Fortnite is getting bigger, and keen-eyed players have discovered proof. It's been a crazy week for Fortnite players. Not only did the game recently play host to a mysterious missile launch, the force of the device's explosion tore a fracture in the sky. To make matters more complicated, Fortnite fans have noticed that the crack in the sky is getting bigger, with new evidence suggesting that it may continue to grow for days or even weeks to come. 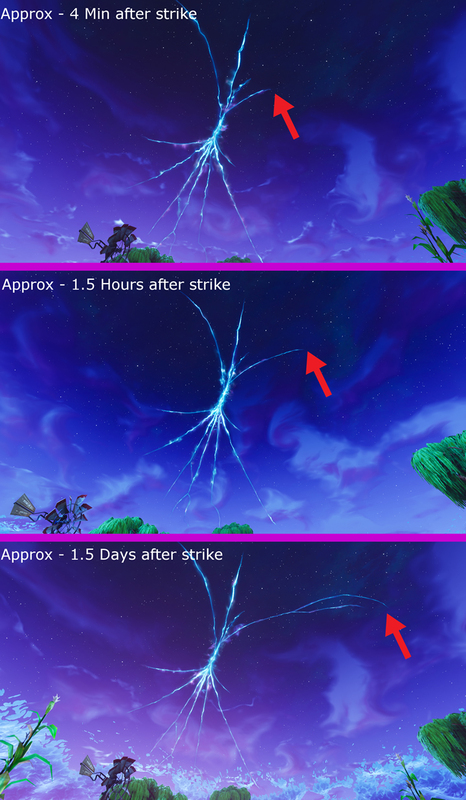 A post made by user Discount_Pringles over on the Fortnite Battle Royale subreddit shows several similar screenshots of the crack in the sky set at different intervals, with the fracture noticeably growing between each shot. As can be seen in the image, not only does the growth appear to be steady, it also appears to be substantial — the main fracture being pointed to has basically quadrupled in size in just a day and a half. With that rate of growth, it could engulf the sky in a matter of days, at which point something dramatic will almost certainly happen. What is the crack in the sky in Fortnite? What does it mean? Frankly, we have no idea. Some players theorize that the crack could open up a wormhole to a new area; others think it may serve as a transition into a new type of game mode. All we really know is that it's growing, and that growth can only mean that something big is about to happen. Until the mystery of the fracture is solved, be sure to check back by Shacknews' Fortnite home page for the latest news and detailed guides. Kevin Tucker posted a new article, Is The Fortnite Crack In The Sky Getting Bigger?